In pay-per-click (PPC) advertising, keyword match types are a function allowing you to limit the queries for which your ad comes up in the results. This allows marketers to target more relevant searches and improve their strategy. Having said that, keyword match types vary across different search engines; in this blog post, we will focus on Bing and Yahoo! Japan. Bing’s advertising platform is Bing Ads, which offers broad match, phrase match, exact match, and negative keywords. Exact match triggers ads when the search term matches the keyword exactly, but it also allows close variations including singular or plural forms, abbreviations, misspellings, punctuation, accents, stemming and re-ordered words. Phrase match triggers ads when the search term contains all the words of the keyword in the same order, and it allows additional words before or after the keyword. Again, close variations such as singulars and plurals are allowed. Phrase match and exact match on Bing are very similar but have slight differences in terms of the definition of close variants. On the search term report, however, Bing Ads does not reveal if your keyword is triggered by close variations or not. It just tells you if it is triggered by exact match or phrase match. Broad match works so that only search terms that contain the word, or close variants of the word that you added the modifier to, can trigger the ads. These include synonyms and related searches. Negative keywords can be added as exact match or phrase match at campaign or ad group level. There is no broad match negative keyword on Bing Ads. Yahoo! Japan’s advertising platform is Sponsored Search. Sponsored Search also has broad match (and broad match modifier), phrase match, exact match, and negative keywords, but as Yahoo! 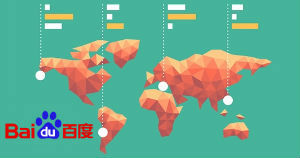 Japan is a search engine for Japan, the match types of Sponsored Search work slightly differently to Bing Ads due to the nature of the Japanese language. Exact match triggers ads if the search query exactly matches the keyword in the correct order. Yahoo! Japan particularly mentions spacing in keywords. As long as the meaning is not changed, ads will be triggered regardless of whether a space is typed between words. Sponsored Search also allows close variants, but the variants here have a very wide range. Phrase match works in the same way as in AdWords, in which search terms must include the keyword or close variants of the keyword, with additional words allowed before or after the keyword. Correct word order is necessary, and no additional words are allowed in the middle of the keyword. Broad match allows to also add broad match modifiers (plus sign) to certain words to ensure they appear in the search queries. However, Sponsored Search does not mention if all close variants are applied to modifiers. Close approximations like misspellings, different endings or similar are accepted. The negative keywords function is available for exact match, phrase match and broad match negatives on Sponsored Search, which can be added at campaign or ad group level. Which match types to use depends on the goals of your campaign, but knowing how they differ across international search engines is vital for the international marketer. Find out more about match types in Google, Yandex, Naver, Baidu, Bing and Yahoo! Japan here.